Hi:Health is global medical ecosystem based on artificial language for complex personalized diagnostics of the human organism in real time. Using the data of medical examinations of a large number of patients, as well as health monitoring gadgets, we train artificial intelligence to conduct early diagnosis of various diseases and to find the previously uncovered cause-effect relationships between the functioning of the systems and organs of the body and the occurrence of diseases. AI will be able to analyze slightest deviations, which human can’t notice, and to get more accurate survey results (such as, electrocardiogram) as a result of their cleaning from the noise generated by the instruments. Also, with the help of AI, it will be possible to check the effectiveness of treatment in real- time and correct the doctor's prescriptions. To create a complete diagnostic picture, we will use gadgets and mobile applications to conduct a similar ECG survey in real-time. In addition, we collect data on DNA analysis. This will allow to conduct early diagnosis of potential parents, including their compatibility, undertake more detailed planning towards pregnancy, recognizing the possibility of manifesting genetic and hereditary diseases not during intrauterine diagnosis, but at the stage of preparation for conception. In order to verify users, to provide medical secrecy, secure storage of data, transfer of information between the doctor and the patient, and for testing the authenticity of diagnostic gadgets, will be used Blockchain – Ethereum and decentralized file-sharing service Ethereum swarm. The HIH token is the Ethereum-token, which can be accepted as a mean of payment when paying for medical services, medical equipment (gadgets) connected to HI:Health ecosystem. And also earn tokens on your PERSONAL HEALTH. All users of the HI: Health ecosystem are obliged to accept the HIH token when calculating for any medical. Primarily, Hi:Health will work with early detection of those diseases, increasing of which concerns WHO and other international organizations throughout the world specializing in health issues. These are cardiovascular diseases (including ischemic heart disease and hypertension, which are frequent causes of heart attacks and strokes), asthma. To complete diagnostic picture, we will use gadgets and mobile applications to conduct a similar to ECG survey in real time. 1. Except two images, they don’t have an MVP of their own. 2. 5 among the 12 team members are members of a previous ICO (VinChain). Should that matter? It should not, one should be allowed to work in multiple places if he is able to. Then why am I concerned? You may get the answer to that in the token price of VinChain at ICO and right now. 3. Now coming to the next two Advisors, Dr. Michael and Dr. Ben, looking at their experience in Linkedin, except the fact that they are the CEO and COO of AiMedis, the rest experience looks like a 5 year old had helped them to update those. I don’t want to make fun of someone if they don’t know how to do something. But considering their background and expertise, updating a LinkedIn experience should not be an uphill battle. 4. It seems that they have few partners listed on their website, but it doesn’t show any proof about the same. And if the partnership with Amazon is to use their hosting service, I think that is a kind of misleading the investors of a formal partnership which is actually a use of the respective companies service. Similarly, there are no proofs (or links) in the partnership with RocketBody, aimedis, nordea, etc. 5. It is said that they would be using data from a large number of patients, etc. But there is no mention of how they would be getting those data, neither any solid partnership right now to prove it. 6. They say that for further development, they need to raise the funds. But what have they developed till now? And how much did that cost them? And what was the source of that money? The team here has the right background as I think this is a data play rather than a medical play although they will need to beef up on the medical side I think. Someone with genomic background would be very useful. This is a 3rd **Dual-Review** [PART-A by John and PART-B by myself]. Combined review by John Shebin and myself. First review on 4 August 2018. C3: What is your smart contact address? C4: Your 'whitepaper' is in the form of a pitching deck/slides rather than the typical ICO whitepaper. C5.1: How many patents are there? C7. Within slide no. 27, you mentioned about "Access to neural network on a fee basis." C7.1 What type of neural network are you using? C7.3 Pls elaborate on ""Access to neural network on a fee basis. ", what is it that one will gain access to? C8. Within slide no. 29, you mentioned "AI algorithms analyze the data obtained, based on the experience of thousands of doctors around the world and millions of studies..."
C8.1 Who and how are you gaining access to these thousands of doctors? C8.2 Where and how are you gaining access to these millions of studies? C9. Within slide no. 29, you mentioned "Artificial Intelligence makes recommendations for lifestyle...", pls elaborate on what and how the AI works in this case. C10. The text within the drawing in Slide 31 is in Russian, pls translate. C11. Within slide no. 42, you mentioned "Buying medical data...", where and how are you buying this medical data from; what is the costs like? C12: HiHealth (HH) is operating under which company - would appreciate if you could share with us (a) name of the company, (b) company website, (c) company registration number, (d) office address so that we can visit you, (e) date of registration, and (f) country of incorporation. C13. Who are the company directors of (HH)? C14: What is the token lockup/vesting period for the team members? C15: What is the token lockup/vesting period for the advisors? C16: What is the token lockup/vesting period for the institutional investors (if any)? C17. What are the roles of each of your advisors? C18: Who among your advisors are in your Telegram community? C19: What's your Github address? C20. Any MVP to show? 'Alexander' mentioned in the Bitcointalk that "We broke off all relations with Shohel Alam" but he is clearly still an advisor listed within ICOBench. Which other advisors or team members are still listed in ICOBench when they should have been removed? C22. I will revise my ratings after receiving further responses to above comments and questions. For your reply, pls use this notation, R1 for C1, R2 for C2, ..., R22 for C22. My rating was T=1 V=2 P=1. C23. I am complementing my review on HIH by adding another good review done by John (see PART A of this review). The implication is that I am now expecting the the team to answer not just to my comments and questions but also to John's comments and questions in his review. o Q1. Do you know dipkiss personally? o Q2. Why is he doing this to you? o Q4. What's dipkiss's fullname? I would like dipkiss to reach out to me in Telegram to give further evidence of his allegations against Shohel. Based on my Q&A with Shohel, I believe that he is most probably innocent. I am now revising this rating from T=1, V=2, P=1 to T=2, V=2 and P=1. C3 smart contract is published in the telegram chat. C4 Hi: Health is registered and has a passport. The whitepaper is made according to the passport. C5 A year ago a preliminary patent application was filed (ECG measurement, signal purification, determination of biorhythms). She is on check. It is planned to get a patent next year. At the moment, a pressure measurement algorithm is being developed and tested. After entering the market (in December 5k pieces) of the gadget, we will get a large stream of data and solve the issue with accuracy. After testing, the next patent application for pressure measurements will be submitted. С6 We will try to explain simply. For diagnostics, for example, ECG, we use a gadget that can measure indicators at any place in the presence. Ay is an algorithm in which there is knowledge (base of epicrisis) that were made with the help of a doctor. When measuring, we compare knowledge and measurement data and make judgments on multiple parameters. The neural network at the arrival of data and comparison finds regularities and knowledge thereby improving the accuracy of the measurement. A person is recommended to consult a doctor for advice. The doctor makes a conclusion and enters into the database. Thus, we increase the accuracy of the analysis. When we receive data on nutrition, exercise, activity, we can track improvements or deterioration of health in relation to the ECG. Myocardial infarction. The infarction can be determined by the absence of the R wave, the rise of the S-T segment, and the negative T wave. 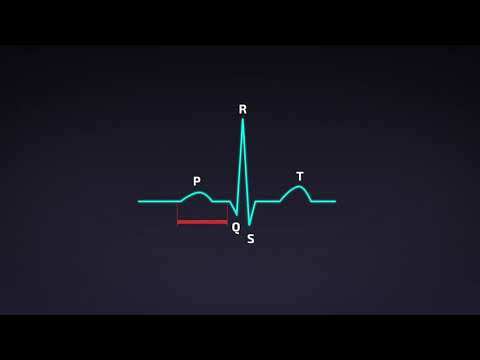 During the acute stage in electrocardiography, the S-T segment lies above the isoline and the T-tooth does not differentiate. The subacute stage is characterized by the lowering of the S-T region and the appearance of a negative T. At the stage of scarring the infarct, the ECG shows that the S-T segment is isoelectric, T is negative, and the Q tooth is clearly visible. С7 Here it means that the clinic, pharmaceutical companies, if necessary, analyze their medical data. Download to us in the system data, set parameters that they need and do analysis with the search for patterns and knowledge. Or to get ready-made statistics on sets of parameters. On a fee basis. C9When we receive sufficient information about the patient, we can advise how much to drink water, what is better not to eat, when and how much to play sports. С10 We checked everything! There the whole text is in English. С12 Development in Belarus, the name of the company «smartchain"
First of all, I should admit that I thought “another health related blockchain project, really?” when I first saw the topic of Hihealth. However, when I started checking it out, it quickly grabbed my attention, especially due to several things such as having a physical product, a mobile app, blockchain and AI. Thus, I have spent a few hours to examine the project and here are my comments below. Hihealth's product is cool, having both a gadget designed for wrist and also a mobile app, connected via the internet and blockchain. However, I couldn't understand whether the device and the app are already ready. I mean, I'm not sure if there is an MVP yet. In fact, I have found an app called Rocketbody on App Store but in my opinion, the relation of Rocketbody with Hihealth hasn’t been stated very clearly neither on the website nor on the whitepaper. I kindly ask the team to reply to my comment and clarify the situation, so that I can increase my product-related score accordingly. I must say that the whitepaper is pretty weak though. I have read the English version but there are charts that have Russian words on it so it doesn't make sense. Also, the same chart belonged to 2012 if I understood correctly, so it is not up-to-date. In addition, the infographics, colors, style, everything used in the whitepaper looks poor. There are also spelling mistakes such as writing ‘date’ instead of ‘data’ both on the whitepaper and on the website. I recommend the team to change the WP to a text-based, professional-looking document with less but up-to-date and good-looking images and charts (I have to add that there are also Russian words on your website as well – For example, check the token sale bar; your collected funds and hard cap are written in Russian). Also, the hype about the project is actually interesting. I was actually surprised to see that this project has more than 30k followers on telegram. In addition, it has almost 4k on twitter as well. These numbers are great but I am curious whether this happened due to organic traffic or if there was an airdrop program for following the channels. If it is the second (and I believe it is), then it wouldn’t have much benefit to ICO success. Next, I believe the team is great as well. I checked Linkedin profiles of everyone in the team and it is nice to see that there are both blockchain related people and doctors on board. In fact, such a project would need both. So, it's good. There are also two data scientists that seem to have nice backgrounds, that’s cool as well. However, I have doubts about the implementation of AI. In fact, you are claiming that you will use AI in order to analyze health related problems and diagnose patients. But as far as I can see, there are only two AI related people on board: Konstantine P. and Michael Zhalevich, which don’t have enough experience in this. Specifically, I can’t see how Konstantine is experienced in AI as he has 8 years of sales experience and just 1 years of experience in software development advisory. There is no AI-related experience on his profile yet he has written ‘AI development & implementation’ on his bio. This is weird. Secondly, I see that Michael has studied AI in university, which is good but as far as I can see, neither he has any AI-related experience. Actually, this situation makes me wonder how you are going to implement AI on your project, who is going to work on it, and whether you have written any code regarding AI so far. I appreciate if the team can clarify these issues with a reply as well. Lastly, I think the token sale structure of the project is perfect. Regarding token allocation, I believe everything is nice. In fact, 70% of tokens are given out to the public through presale and public sale which is good. Also, hard cap is 14,000 ETH which is approximately $6,500,000. I think it is enough to develop the project and additionally, low caps make it more attractive for investors because if people buy the tokens on exchanges, it drives the token price up more than high-capped projects. Moreover, the token price is very low (1 HiH = 0.00004 ETH) which will also make people think the token is really cheap and it has a lot of potential to go. So, it’s another plus for the ICO. A cool project in the field of medicine that allows people to monitor their health and pay for treatment with cryptocurrency. I see great opportunities for the development of a system of detection of serious diseases in the early stages. Hi health concept is innovative and unique, however there’s competition out there. The team appears to be experienced, however I would have preferred to see more doctors than data scientists, especially considering that this ICO project is medical based. As it is not possible to test the accuracy and effectiveness of the medical devices, it’s difficult to rate the products, however with current advanced technology, such medical devices are usually very functional and accurate. With regards the whitepaper, there are some language and typographical errors which should be corrected. The vision of being able to monitor your health independently is very useful and could save many lives, therefore the 5 star rating for HiHealth. Good luck to the team and their innovative project. The product idea here looks like something very usable and beneficial for those seeking fitness. The team, presentation and tone of the listing and their story leaves me wondering if they are jumping in to get their piece. I'm all for that, but I want something more. For team I would have given them an average 3 out of 5 but then I noticed that several of their listed team members aren't with the company any more and in fact left after a few months. That includes the blockchain architect, the blockchain developer, and the data science system architect (doesn't even list they ever worked for HiHealth). The CEO has no evidence of prior work in this space - he's a business man - but this is common. The CFO and CTO both have associations with Vinchain which I've heard of before and is still a going concern. They have a lot of advisors including a couple of doctors which is good considering their medical tie-in, plus they have the CEO of Rocketbody which makes the wearable device they integrate with, or will do. For vision - well I give them 2. I think they have good intentions but the basic idea has issues. They are collecting biometric data, putting it on the blockchain and then allowing users to earn coins by allowing access to them for running magical AI analysis. They hope to allow early diagnosis of disease or enable research of diseases. They propose data will be stored using Ethereums prototype "Swarm" storage (currently at v0.3 but definitely still evolving and being used). But they never say anything about privacy - the entire whitepaper makes no mention of it. That's worrying for something storing personal, private medical data. There is really no clear description or diagram of the whole identity, data, privacy, anonymity architecture. With the blockchain and immutable data on Swarm these things are really important to nail down from day one of operation. There is also no real compelling case for why this stuff has to be on the blockchain - they talk about payments, and contracts but nothing really compelling. This could easily be a service without blockchain. The best I can come up with is to make globalization of data and payments easier, but really I'm not sold that blockchain adds a lot to this project right now. For product - well, really there is none yet. Not that we can see. I can't find any code on Github. None of the developers appear to have any significant presence there either. The most tangible things we have are website, whitepaper, social media presence, and an association with the Rocketbody Indiegogo backed personal trainer app/device. That raised $71K in May of 2018. Their ICO has raised under 1000 ETH so far - under 200K USD. Developers in Belarus where they seem to be based are cheap but I hope they can get more to actually complete something or this project may just evaporate. The website and whitepaper could really have done with a thorough proof-reading by an English speaker, errors like “Date mining” and “Econimics” don't impress me. There is a Telegram forum with something like 40,000 people but scroll back through history and it is full of the normal "How soon ICO? ", "When moon?". So that pretty much demonstrates they have the usual people building social media attracting lots of people looking for their airdrop freebies for inviting all their friends. Their other forums are pretty weak and comments obviously very spammy. It's underwhelming so far and doesn't show any kind of active community even interested in the product beyond pump and dump of the token on ICO. I read the entire whitepaper - there are no real details of the AI beyond a general outline of typical AI/ML algorithms and tactics. It is also not clear why the platform provides that and it isn't just something that third parties bring to the platform to do work. It does kind of smack of "let's talk about AI and we'll be worth a lot more". Perhaps the idea is that other people provide AI algorithms which see the data and analyse it and output only derivative data to the paying customers trying to do health research? Maybe, but I don't fell like I should be having to figure that out. So sorry not an epic score here. There probably will exists something like what they are building - there may be other competitors but I didn't check. However thus far this solution seems to be lacking, and has very little to show in terms of execution. A good team, with strong background and a relevant success track plus an ambitious and innovative project are gonna be a great challenge. Disclaimer: I am not a medical professional. My rating is based on the easily obtainable laws, regulations, and limitations of handling and transmitting private medical data in the USA. The CEO asked me to rate this project. After reading the white paper (slide deck) I raised a few simple questions to the CEO, Aleksandr Potkin. My first question was regarding whether or not they would operate in the US with US patient data. The answer was yes. Which led to the obvious question, what methods are you taking to maintain HIPAA compliance? "For data security, we use blockchain. We plan to store the data in a decentralized manner. This is written in WP." physical, network, and process security measures, in place and actively follow them to ensure HIPAA Compliance. It pains me to say this, but blockchain alone does not satisfy HIPAA. Any Health care providers and/or health care clearinghouses that transmit PHI or ePHI (electronic Protected Health Information) must remain compliant. Furthermore, the white paper makes vague claims about AI learning the health habits of individuals and comparing the data against a large data base of historical worldwide data to prevent and/or disgnose health issues. Sounds cool. How will it work though? How will HiHealth gain access to this trove of Protected Health Information? I would like to continue my conversation with Aleksandr, but I would also like to invite the core team members to engage me in conversation and and answer some questions. There are also two doctors on the advisory board that I would like to talk to. Their professional experience was non descriptive and they failed to name one actual hospital our clinic they worked at. The profile actually said "worked at hospitals" They both apparently achieved doctorates in multiple advanced fields of medicine like nuerology and Psychiatry in five years time. Like I told Aleksandr, I'm here to help. If the team is having trouble navigating HIPAA laws or if they decide to restructure their business plan, just ask. I am still waiting for a useful medical project to come to America and succeed. Contact me if you have any questions or answers. Thank you. The project is admirable but unfortunately there are flaws in the value proposition. I can’t see the depth of experience in the team to deliver on the vision, the use of health data is fraught with privacy concerns, the references to AI is not backed up with evidence of protected intellectual property, and the name Hi Health appears to be already in use in the US. In general terms, there is no supporting differentiated evidentiary substance to the proposed project, so I cannot rate it highly. Team: The team looked good and well balanced, which has been a reason for a low rating for several projects. They look experienced as well as come with the right background, making it a capable team. Vision: The vision is not unique as there are more healthcare crypto projects than I can remember. However, none such project has delivered what they promised. If this team can, that will be awesome. Product: Like I always say, I do not understand this part, how can I talk about a product which is not built yet! ICOBench should really do something here. Still, looking forward to see a fully functional healthcare ecosystem, built atop blockchain.